David Fried integrates content strategy throughout his branding work at the digital agency EFM. Whether he’s crafting a branding strategy from the ground up or executing a campaign for an existing brand, content is always a key element. 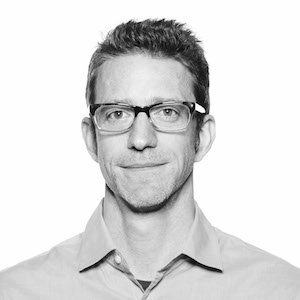 David Fried is a strategist and creative director at EFM Agency in San Diego with over a decade of experience developing platforms, names, verbal identities and creative for national and international brands in technology, music, craft beer, health & beauty, and the non-profit sector. David has gathered valuable insights and transformed them into effective strategies and executions for Sony, Microsoft, Shure, Ballast Point Brewing & Spirits, Pirch, Astroglide, and ExxonMobil, among others. He combines his specialties – brand identity, content strategy, and voice and messaging guidelines – to tell distinctive brand stories that resonate with audiences and yield long-lasting results. Here’s the video version of our conversation.